Today I'm teaming up with Homage to bring you this awesome tee shirt that holds a special place in my heart after leaving Chicago. That city taught me so very much after living there for 34 years. Today I want to share with you the most important thing it taught me. Chicagoans are a prideful bunch, and with every right to be in my opinion. We survive sub zero winters and spend half of our existence either walking to where we need to be or endlessly looking for parking spots. It's not an easy life but it sure is fun. I've had an amazing time living in Chicago but the one thing it did teach me was to fight. And no, I don't mean fist fight (although maybe sometimes it may feel like it needs to come to that) I mean the fight of life. Chicago forced me to work hard to get where I wanted to be. There are always hundreds of other people wanting that job opportunity, parking spot, new apartment, or even dinner reservation, and you have to fight to get it all. I know everyone goes through this in some capacity but I really think living in Chicago pushed me to points I may not have ever experience if I wasn't there fighting all along the way. Maybe it was the teaching in the inner city hoods I did for 11 years or the public transportation I endured in the freezing cold, but I feel I earned a badge of honor and can proudly say that I ain't no sissy and have my sweet home Chicago to thank for that! 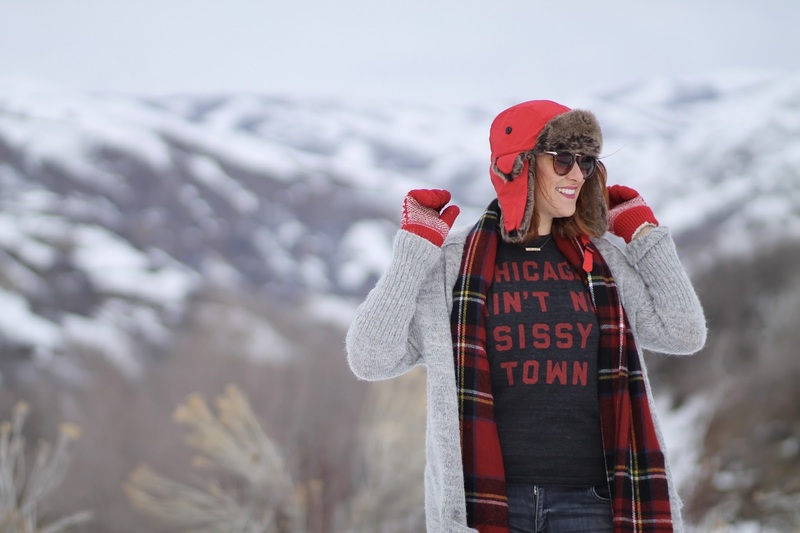 Want to win your own "Chicago ain't no sissy town" tee? Tell me what makes you tough in the comments below and leave your name and email as well. I'll pick one winner at random to get their own tee on Sunday February 14th! Giveaway closed! Mina, you are the winner! You bet you aren't! So glad we had the chance to meet before I left Chicago! I love homage! I def need this T. What makes me tough is pushing myself to send one extra email or make one extra edit so I can keep up my fun hobby after a full day of work. Always striving for more! Ain't that the truth Jennie! Keep up all the hard work. I LOVE this post! Such a perfect homage to home!! If you'd asked me 10 years ago if I'd live in the West Loop and take public transit to work I'd have laughed at you and then thrown up. Seriously, just taking that step to move here and actually be on my second job downtown toughened me up like nothing else. Public transit really is a battle! Keep fighting!! Well i can say i survived the winter that Chicago had like 16 inches of snow, and i made it right through. I made it through many winters, storms and much more harder weather. I toughed up like no other, plus when i was in Milwaukee i lived near a lake.. 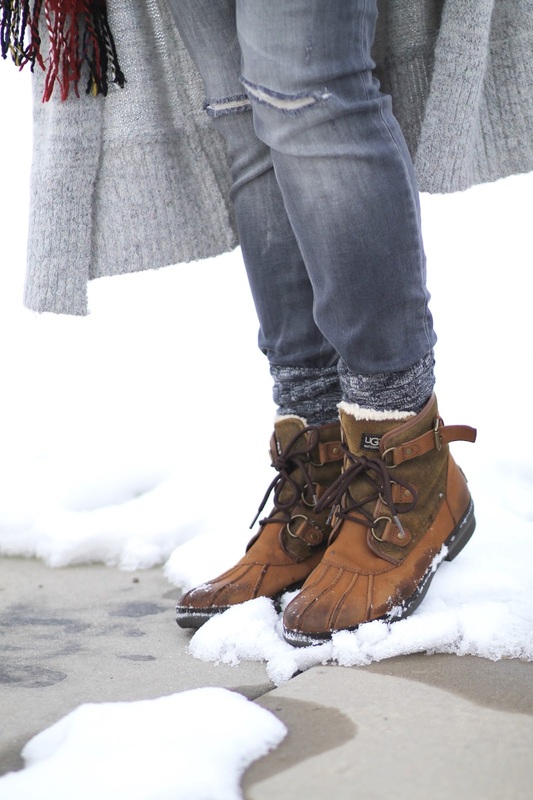 I toughed right up when i had to live near a zero below weather. Love this Jill!!! What makes me tough is juggling a 2 and 4 year old while still trying to make my way in the world. It is tough to figure out who you are after having kids, but I GOT THIS!! Love this post so much. Wish we could have gotten the chance to hang out more when you lived in Chicago. What makes me tough is being able to overcome my college boyfriend's death. No one expects a significant other to pass at the age of 21 but life throws curves all the time and how you come out of a bad situation makes you a stronger person. Mina. You are the winner!!!! Can you please email me at jillstyle55@gmail.com with your mailing address and tee size!